The goal of the Leaders On Loan program is to make Frederick County a better place to live, work, and play. Through a partnership between Leadership Frederick County and local nonprofits, class members receive experience working with nonprofits and develop an understanding of their scope and impact. In turn, these organizations receive assistance on a project. You can read more about the application process, history, and project types on the Chamber's Leaders on Loan web page. Be a qualified 501(c)(3) as defined by the Internal Revenue Code. Provide a signed letter on the organization’s letterhead of support and approval of the specific proposed project from the organization’s board of directors and/or Executive Director. The letter may come from the executive director, providing he/she is not the one submitting the application. Selected semi-finalists will present a preview to the Leaders On Loan Steering Committee. Presentations to the class will be in the evening on Monday, August 28, 2017. You may save your answers at the end of the form using the "submit" option. You will then receive an email with a link to edit your responses. Although you are welcome to make changes at any time, it is recommended you complete this form all at once or prepare your answers in a separate file. 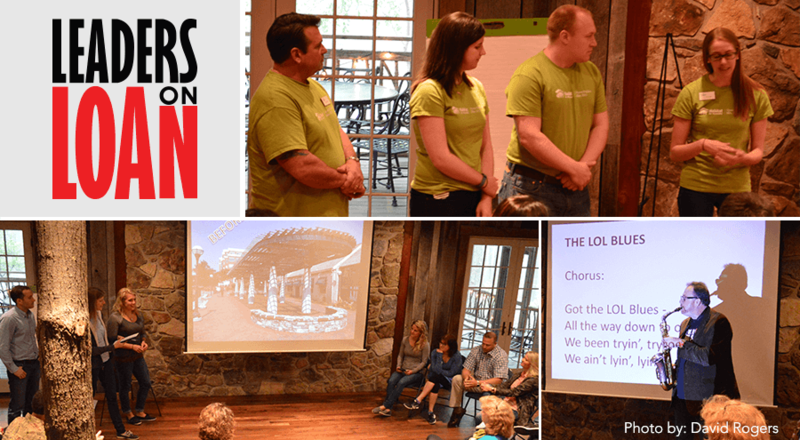 Leaders On Loan is a project of Leadership Frederick County, a program of the Frederick County Chamber of Commerce. Are you a registered 501(c)(3) corporation/nonprofit? Has Leadership Frederick County (LFC) ever helped your Organization? Are you a current member of the Frederick County Chamber of Commerce? Has any member of your organization participated in LFC? Which category is your organization applying for? How can Leaders on Loan support your organization? What is your organizations desired outcome? Describe how this project will address a need within Frederick County and/or show a tangible impact. If this project requires financial resources, what is your estimated project budget and how will you meet the budgetary needs? Describe the level of need within your organzation and how this project will show tangible impact on your agency. Describe your organization's philosophy of engaging volunteers and outline your volunteer management structure. What role will you and/or your organization play in the Leaders on Loan project? Who will Leaders on Loan volunteers work with at your organization and how will they be managed? How will Leadership Frederick County participants benefit from doing this project? How will this project be sustained after Leaders on Loan? Is there anything else you would like to share about your organization or project? Signed written endorsement from an LFC Graduate for the project. The LFC graduate CANNOT be a paid staff member of your organization. Thank you for completing this application. You may edit your answers after submitting the form. If you were unable to answer all questions at this time, you may press submit, then edit your responses using the link that will be sent to you via email.